Yet Another Fool Who Has Parted Ways With Flesh. How many times have you stood before Garm?! From our innovative Persistent Chests to the helpful Random Merchants appearing in Bazaars, as well as Rewarding Teamwork. Our goal is to make your game experience the best. 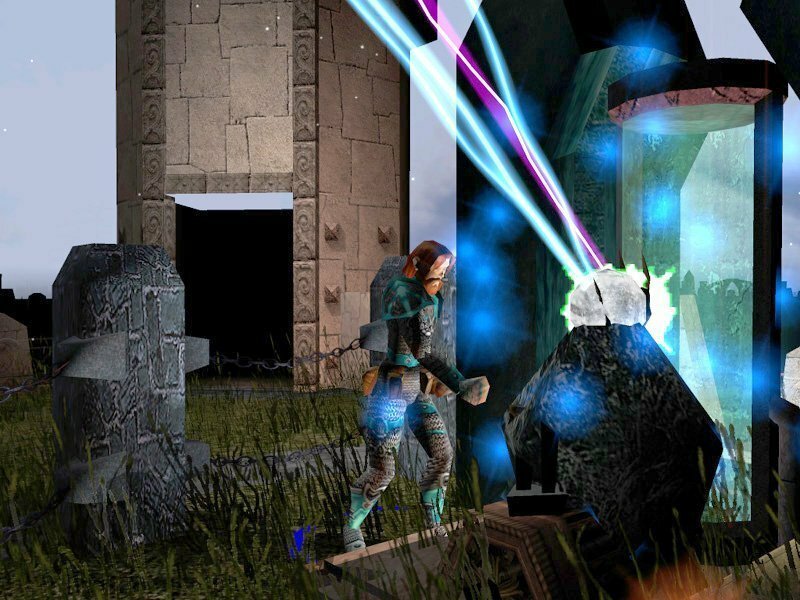 Shown: Ashimar makes his monthly tithe to the Temple of Odin. We like to reward those those demonstrative role-players we encounter in game with custom races including Grippli, Gnolls, Trolls, Kobolds and more. Get in game and work hard, you'll see a happy return. Choose from many of the custom portraits on the Vault or some of Markshire's custom portraits. Download the file and make your PC. Get your favorite fishing pole from a reliable vendor and find a nice spot to wile away the hours. Catch your fill and then take them off to make fresh fish dinners including Harkal, Lutefisk and more. Remember to keep an eye out for giant blue crabs. 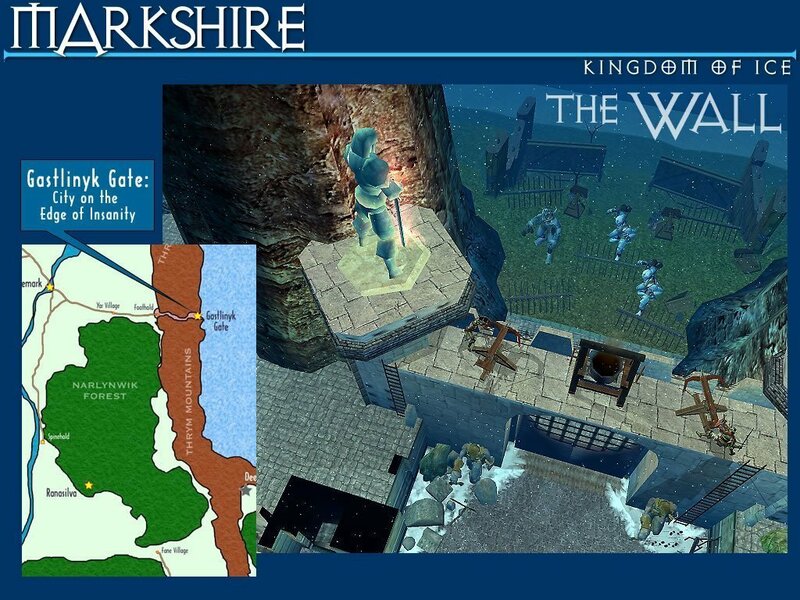 The Kingdom of Ice, Markshire is situated in a realm based on Norse background merged with medieval feudalism. The country known as Markshire has seen many hardships over the years but her heroes strive to hold back the tides of Chaos. We have over 400 areas built with a fine eye towards details and storytelling. Our goal is to provide a sanctuary for roleplayers who wish to embrace a story many years in the making. Our corps of players and DMs are old school PnP players who have endeavored to capture the feel of classic PnP within this modern video game. Read the story of how Gastlinyk, the Mad Titan, was released from his prison. Persistence is the key to a continued experience on any world. 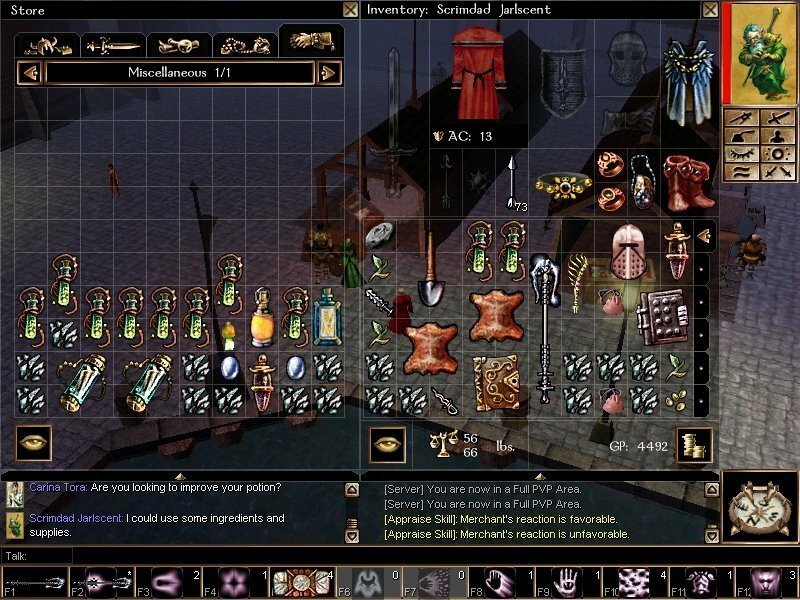 Storage of items outside of your personal inventory there is little to do using the basic game. 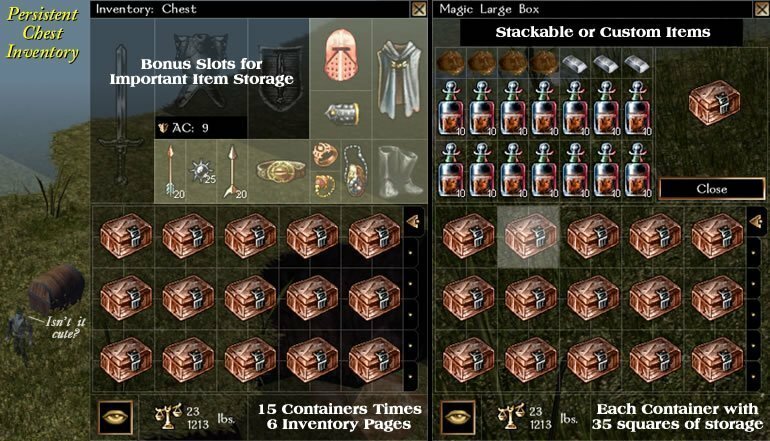 So utilizing a simple single command I have built a system that allows many options not normally found in Persistent Item Storage. Learn about the various towns around Markshire as well as some customs. Build your "Knowledge: Markshire" skill. You'll need it. We have made a bunch of cool advertisements to run on NWVault back in the day. Check them out. We have been playing in this campaign world for 20 plus years in PnP. I have reams of information regarding this campaign. We are also applying a certain amount of new concepts to allow us to better populate this world. I never in my life planned to create every NPC in every room of every building in every town. Now we are. FUN! We have developed the forums to help you better understand Markshire and assist you in your role-playing efforts. If you have a specific question regarding character development please contact me (Thrym) or simply post it to the forum. If there are questions regarding the scripted systems please contact me. Prior to making a character please read the PC Races section of the forum. Half-orcs never existed before but we are using them now. Tolerance of half-breeds is high in this country but not everyone is tolerant. The Governor was a Half-Giant so it’s better than it could be. NOTE: Halflings are not Hobbits or Hin. They are Halflings here. Same goes for the other races. All classes are available as well. Prestige Classes REQUIRE approval from the DMs prior to taking the first level in it. The character in question should be role-playing towards the prestige class they are considering. If you have fulfilled the requirements of the class and any the DMs require then we will most likely approve it. There are no restrictions to the spells available. There are no edits to the animations of any spells so things may lag from more graphic intensive spells. DO NOT let that influence your decision to take those spells. Starting equipment is exactly what the computer gives you when you arrive. The computer will also give you some additional items on arrival (PC Objects, emote device and such). This means you might not have your preferred armor or weapon. Some things in this world are tougher then you can handle. Run or DIE! You walk into the city one day. You are prepped to buy. You need some crafting materials and your hood was removed by the local Guardsmen so you need a new one. As you enter the Common Market you see it is bustling with street vendors. They are hawking their wares all over the place. The conversations are deafening especially with the aqueduct running down the middle. With a bit of glee you dance amongst the crowd looking over the wondrous varieties of goods to be had. Visit the Scripts In Use forum entry to learn more about how it works. Located in the depths of the Northern Thrym Mountains, this Duergar city is closed to all outsiders. They do however, open a controlled exterior cavern where they sell their goods and charge outsiders to use two of their many mines. Read more about Bal’Ynaz in the forums. 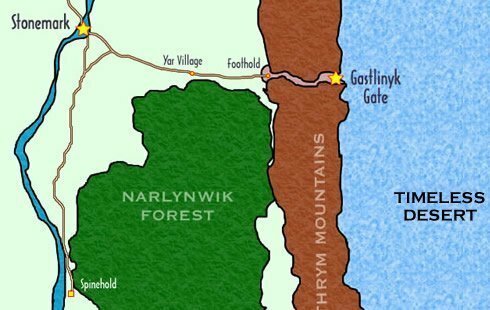 The town of Foothold at the base of Thrym Pass is a plateau with two sides shadowed by mountains, a third leading into the mountains and the fourth point back in to Markshire. Here’s a few neat shots of the effects and setup for Fineas’ Scope to watch the Mad Titan behind the Gate in the city. Well before it all blew to Hel. Check out some of the old ads we used to entice players to our server on NWVault.IGN.com.